Grade four materials consist of nine units, which include 108 Bible story lessons, many of which teach a story over a two-day period. Each session may be taught in approximately 35–45 minutes. 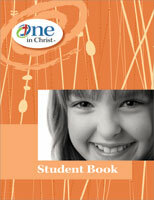 One in Christ Grade 4 teaching materials are arranged in nine units, each with its own theme, worship suggestions, bulletin board, and mission story. Each lesson contains a lesson plan with background information, a classroom devotion, the main theme, lesson objectives, Law & Gospel points, and a materials listing. Faith in Action Readers Theater Set B. Add some drama to your classroom with these nine skits, each encouraging development of a positive character trait. Students present skits and then break into small groups for discussion.